“Also beware of food with health claims on the label” says Hyman. Pot. Kettle. Black. An “advanced medical food” with more (unsubstantiated) health claims than I can shake a stick at. The cynical side of me feels that if people are so easily deceived by snake oil salesmen like Mark Hyman, they deserve what’s coming to them. The compassionate side overcomes that, however. I truly feel sorry for those wasting hard-earned cash on this nonsense. The fact that a man with the letters “M.D.” after his name is pushing the pseudoscience makes it all the more offensive. 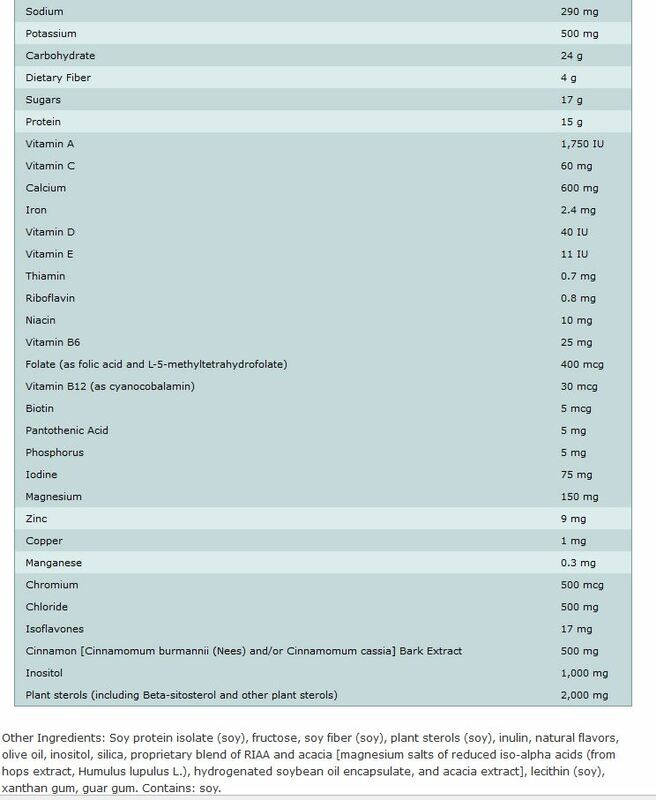 Mark Hyman product screen snapshots are used in accordance with Title 17 U.S.C. Section 107, commonly known as “fair use law”. This material is distributed without profit with the intent to provide commentary, review, education, parody, and increase public health knowledge. 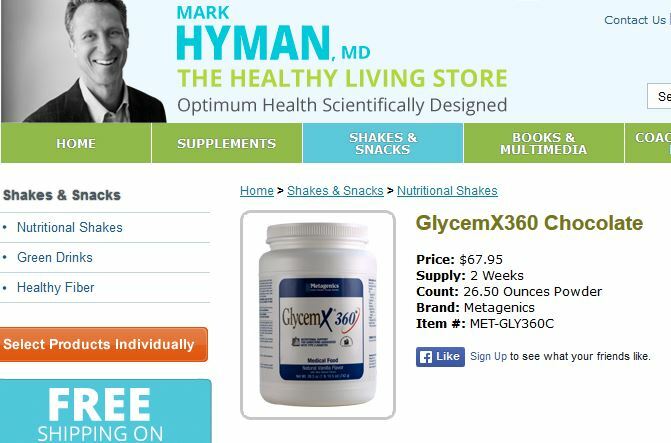 This entry was posted in Alternative Medicines, Hyman and tagged debunked, GlycemX360, mark hyman, supplements by Mark Aaron Alsip. Bookmark the permalink. Not that I disagree with the idea that he has monetized his skills and knowledge, but you did nothing but criticize a drinkable multivitamin as if it were a meal. The ingredient rule applies to processed FOODS. For example, frozen waffles, oreo cakesters, pringles, meatless nuggets, lunchables, and the list goes on. Either you’re mistaken on how foods and beverages are classified, the intended purpose of nutritional shakes (drinkable vitamins), or you just really didn’t put much thought into this article. You’re misleading people from advice (which should always be taken with the consideration that nothing works the exact same way for everyone) that could truly help their health and wellness. For shame. Why does the ingredients rule only apply to processed foods? Why SHOULD it only apply?